Sneha Chowdhury is an MPhil Research Scholar at the Centre for English Studies, Jawaharlal Nehru University. This review was written for an MA course on Indian Writings in English at the Centre in 2015. The Common Man Of Indian English Poetry : Master Subramanearlyunpronounceablenian is a review of the book of poetry named Life and Times of Mr S by Vivek Narayanan, published by Harper Collins India in 2012. Vivek Narayanan has lived in India, southern Africa, and the United States, and continues to divide his time between India and the States. His poems and short stories have appeared in Harvard Review, Pratilipi, The Bloodaxe Book of Contemporary Indian Poetry, International Literary Quarterly, among other publications. A prominent poet on the contemporary-Indian-writing-in-English scene, he also designs and facilitates writing workshops and co-edits a literary journal, Almost Island. In 2006 Harbour Line India brought out Vivek Narayanan’s first collection of verse Universal Beach. At a conference organized by Almost Island, called ‘Indian Writing Now’ in the year 2013, poet Vivek Narayanan while reading out some of his poems from his second collection of verse Life and Times of Mr S also briefly talked about the book that prompted him to write the poems in this collection. Unable to recall his exact words, I shall attempt to paraphrase what he said. He said that the book Life and Times of Mr S began with a kind of reading and revisiting of a writer, G V Desani who wrote a book called All About H. Hatterr. Hatterr was a kind of a cult book in the 30s and 40s and was so because it took up a mode of English speech which was funny, parodic, something that was soon to be identified as Indian English. 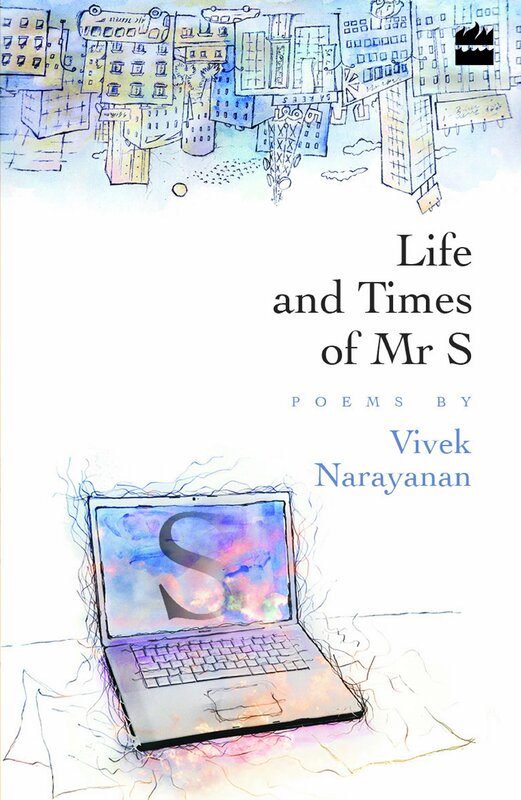 Strikingly ventriloquial, eccentric and mellow, Vivek Narayanan’s Mr S, is clearly the ‘common man’ of Indian English poetry, languorously ambling around and dazedly taking stock of things around him in his notional location, Chennai. As Salman Rushdie once remarked, “If R.K Narayan is India’s Richardson, then Desani is his Shandean other” perchance, I can safely say, if Hatterr with his ‘dazzling, puzzling, leaping prose’ is the exuberant grand old man of Indian English Novel, then Mr S is his mellow other. The latter represents that genre of Indian English Literature, the novel’s hapless and often ignored other Indian English Poetry which, having long lost its claim of inventing what we variously understand as Indian English with the poetry of someone as old as Derozio, followed by Nissim Ezekiel and the likes of Arun Kolatkar to the Indian English novel, has been doggedly and predominantly preoccupied with experimentation mainly pertaining to the Indian English language.